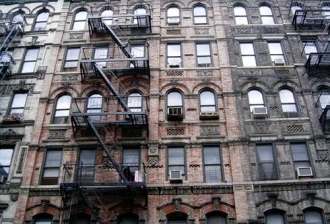 NEW YORK Governor Andrew M. Cuomo has launched RetrofitNY, a first-of-its-kind program in the U.S. that is intended to create standardised, scalable energy-efficient retrofit solutions that can be replicated throughout the entire housing industry. The program will further the State's greenhouse gas emission reductions and climate goals by renovating multifamily affordable housing properties to dramatically improve their energy performance. RetrofitNY will help support the Governor's goal to reduce greenhouse gas emissions 40 percent by 2030. "In every corner of New York, we have made significant progress in reducing emissions and investing in clean energy," Governor Cuomo said. "With RetrofitNY, we are furthering our efforts to protect the environment, build stronger more sustainable housing, and create healthier, greener communities all across this great state." Under RetrofitNY, a $30 million program funded over 10 years and made available through the State's Clean Energy Fund, the state is working aggressively to bring a substantial portion of New York's affordable housing units to or near net-zero energy over the next decade. Net-zero energy buildings consume no more energy, on an annual basis, than they produce onsite through renewable energy technologies like solar panels or other distributed energy resources. These retrofit solutions will also serve as an important tool to help preserve a large number of affordable housing units throughout the State, and improve their residents' health, comfort and quality of life. Richard Kauffman, Chairman of Energy and Finance for New York State, said, "Reducing greenhouse gas emissions from New York's building stock will require scaling up clean energy technologies that could then be used in a greater number of buildings throughout the State. RetrofitNY is an exciting way to engage the private sector to help develop these innovative projects in a cost-effective manner." This RFP is the first step in a process that NYSERDA anticipates will stimulate a new industry capable of delivering net zero retrofits to residential building stock at scale. The retrofit solutions developed through this initiative will serve as a national model for cost-effective and highly energy-efficient multifamily housing renovations. As part of the RFP, NYSERDA will establish separate scoring committees to qualify solution-provider teams to design high-performance retrofit solutions and to qualify buildings to serve as models for those prototype retrofit designs. Six awards of $75,000 will be given to qualified solution-provider teams to design net-zero (or near net-zero) energy retrofits for six selected prototype buildings. RetrofitNY is based on a successful European program, Energiesprong, which has brought over 2,000 units of affordable housing to net-zero energy with 20,000 more units in the pipeline. The program was launched in the Netherlands in 2013 and is now being implemented in France, the United Kingdom, and Germany. New York is the first jurisdiction in North America to launch an initiative modelled after Energiesprong's innovative and comprehensive market-based approach. Picture of Tenement buildings in Manhattan's Lower East Side Moncrief reproduced under CCL.